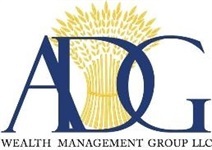 ADG Wealth Management Group, LLC specializes in active portfolio management. Our priority is to consistently manage risk and volatility in our client's portfolio's while seeking to achieve steady growth of your assets. When the market changes directions, active money management allows us to be proactive. In declining markets, this approach may help minimize the declines and smooth portfolio volatility. ADG Wealth Management Group, LLC developed in-house Investment Models that are designed to achieve a variety of investment objectives. These models include both income and growth objectives. All models are actively managed and utilize a wide selection of investment vehicles including funds focused on bonds, real estate investment trusts, master limited partnerships, dividend paying equities, growth funds and index finds. ADG's in-house Investment Models provide investors with a wide choice of options to reach their personal objectives. ADG Wealth Management Group, LLC also partners with third-party money managers who have established track records and offer the appropriate amount of risk and returns that we are seeking for you, We continually monitor these money-managers to ensure that their strategies will give them the opportunity to not only take advantage opportunities in the market but also to exceed performance expectations. By diversifying our client's portfolio among different management strategies, our goal is to improve risk adjusted returns.